Sunny spring days spark my desire to get behind the wheel and drive pretty much anywhere, especially outside the city limits. Last Saturday was a humdinger of a day. Not terribly warm, but awfully bright. We drove northeast toward the picturesque coves, Outer and Middle, and the bays, Logy and Tor. 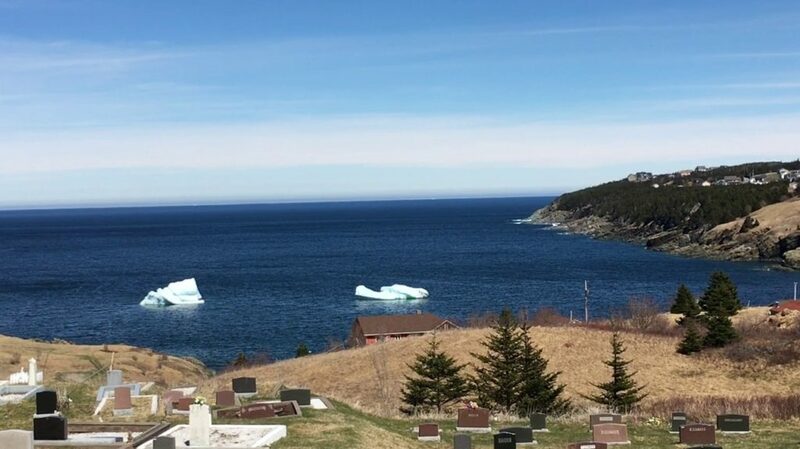 We ended up having lunch in Torbay, which also offered shimmering ice bergs – well, maybe bergy bits – close to shore. Torbay is the namesake of the Borough of Torbay in Devon, England – probably because the first settlers of Torbay, Newfoundland were from that area of Devon. Apart from being coastal, both places are quite different. Obviously, ours is much younger. Torbay in Devon is also sunnier and warmer, being situated on what’s known as the “English Riviera.” They have palm trees. Yes, it’s true. At the entrance to Torbay, Newfoundland we saw a sign flashing the words “BOIL WATER ORDER,” words that give one pause when heading there for lunch. Even the slightest risk of fever, vomiting and diarrhea must be taken seriously. But, despite having been previously rattled by recent local food recalls, we decided to place our trust in Torbay and the Man Upstairs. 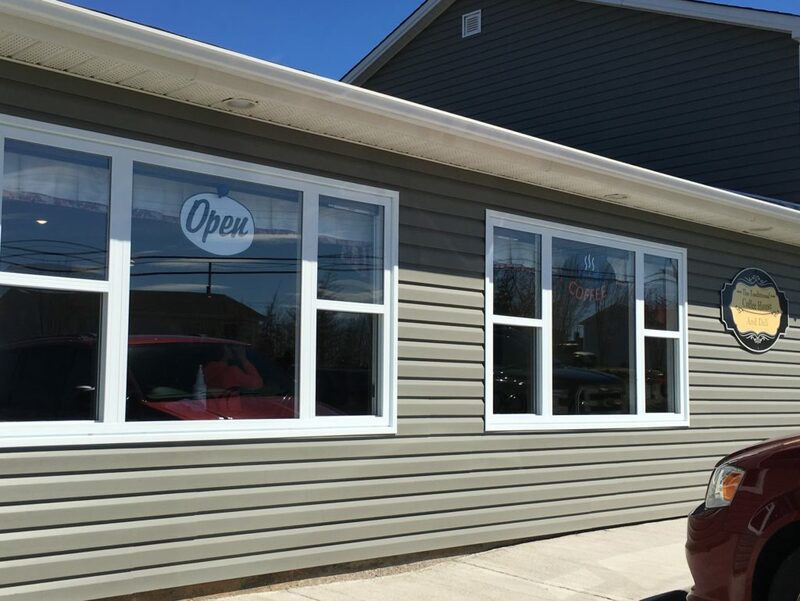 The Traditional Coffee House and Deli is on the main drag through the Town of Torbay. It’s an easy-on-the-eyes café with modern fixtures and bistro style tables and chairs. Unlike most run-of-the-mill coffee shops, Traditional has a well-equipped, shiny new restaurant kitchen. Blackboard menus above the counter indicate what the kitchen is making on any given day. Soups, salads, sandwiches, casseroles, you name it. Traditional sells Trinity Coffee Company coffee. I had a cup of medium roast, most likely Trinity’s Broad Cove Blend. It was delicious, although not as brilliant as the morning cup I had with one of Trinity Mercantile’s freshly baked breakfast muffins on a sun-drenched deck in Trinity a few years back. In my experience, sun drenched decks make coffee, or pretty much anything, taste better. Although Traditional’s house-baked pastry items, displayed in see-through countertop shelving, looked outrageously good, I wasn’t as impressed by the appearance of the savoury items, housed in a nearby cooler. Behind thick glass they looked like dull, uninspired leftovers. Still, as a professional restaurant reviewer, critic, analyst, commentator, pundit, I felt duty bound to order them. Thank goodness, I did. 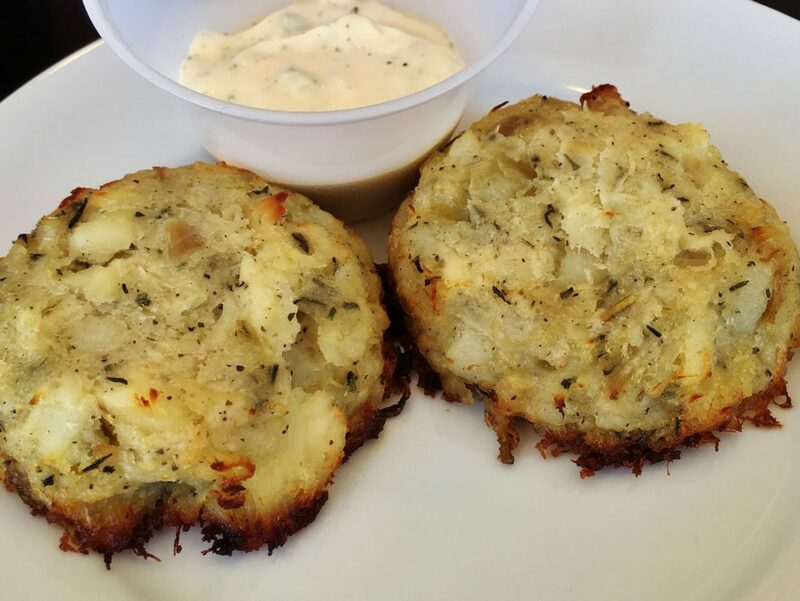 We began by sharing a couple of fish cakes. They looked baked, having a charred frill on the bottom, like a tray of chocolate chip cookies left in too long. The potato binder was smooth and contained a generous amount of cod. Overall seasoning was perfect, with a hint of Newfoundland savoury. Our lunch was off to a good start. Former New York Times restaurant critic, Frank Bruni, and Times reporter, Jennifer Steinhauer, published “A Meatloaf in Every Oven” this year. I particularly liked the following paragraph. 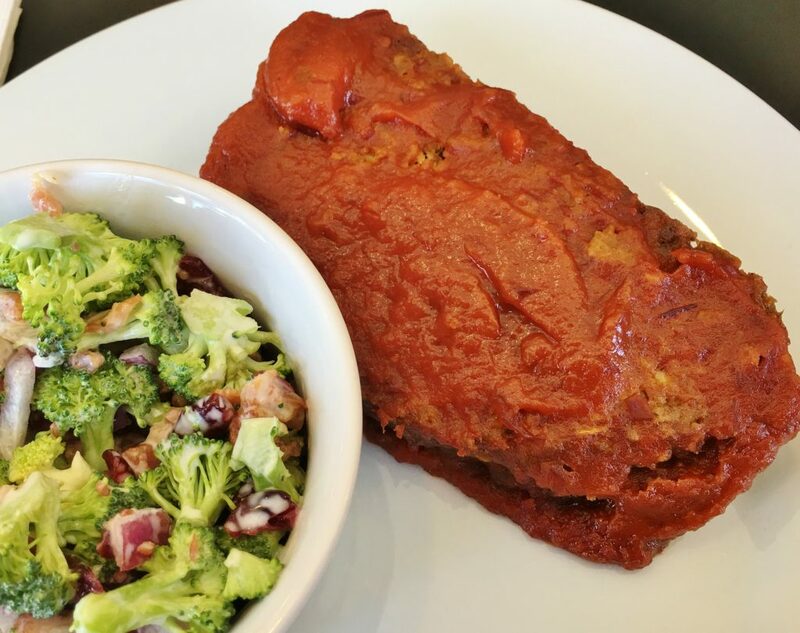 With such an evocative description of meatloaf still fresh in my memory, how could I not try Traditional’s meatloaf with broccoli salad? I’m convinced the meatloaf would have received Bruni’s and Steinhauer’s seal of approval. It was moist and flavourful, thanks to all the requisite aromatics – mainly onion – and seasonings. Not to be underestimated was the covering of BBQ sauce. Hamburger meat and BBQ sauce are like strawberries and chocolate when it comes to “effective” flavour combinations. In other words, it’s a delectable pairing. Where there is meatloaf, lasagne is never far behind. 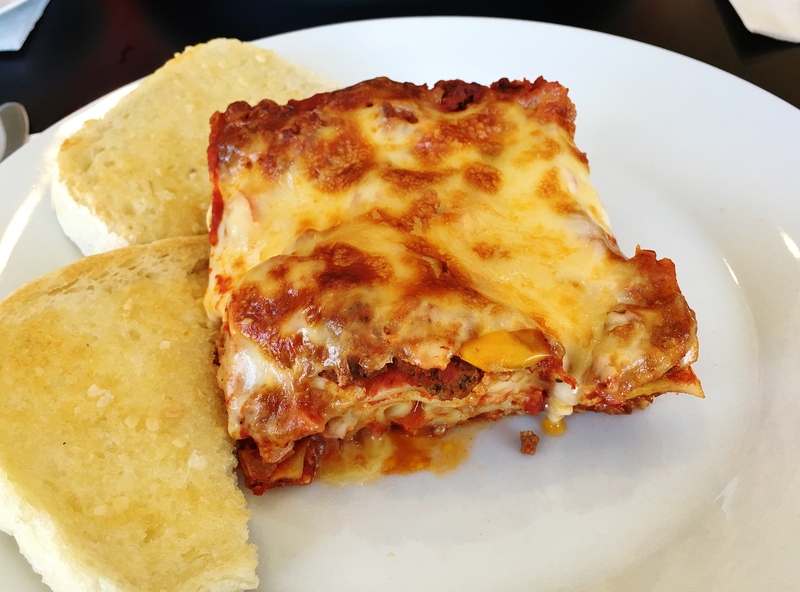 Traditional’s lasagne with garlic bread was a definite contender for Traditional’s comfort food prize. A fair-minded judge would call it a draw. I liked the different textures and flavours, from the melted cheese, through the tender pasta, the tangy red sauce and juicy ground beef. There wasn’t too much or too little of any single ingredient. In cooking, balance can be elusive, but should always be sought. Apple flips go back a long way in Newfoundland. Numerous corner stores, over generations, have sold many Cokes with an apple flip. Either that, or a “Coke, a smoke and a raisin square.” (We sold loose smokes at our shop.) The combo used to be an extremely popular mid-afternoon treat. Traditional’s flips were, like the other pastries, made in-house, and much nicer than the mass-produced flips sold with Coke. The pastry was very light, close to buttery puff pastry. 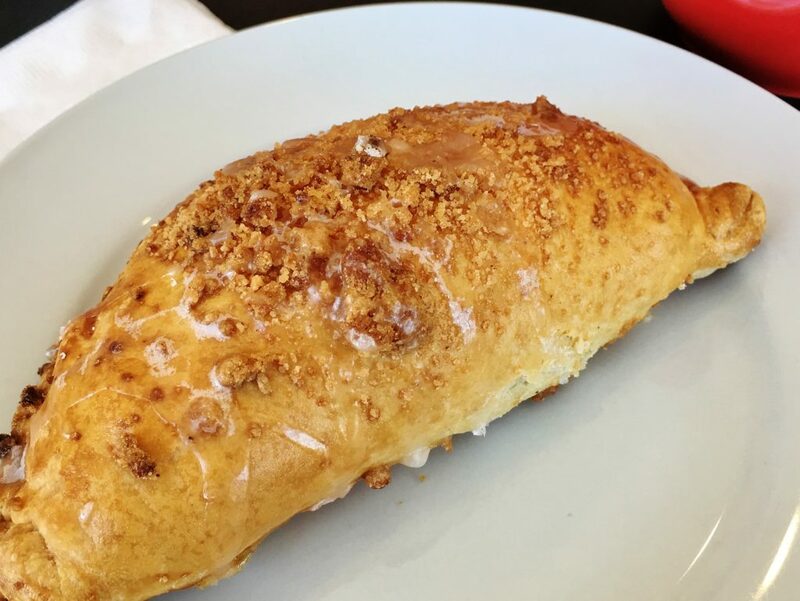 The filling was made from real cinnamon scented apples, not goopy pie filling. On the apple flip spectrum, they were as haute as it gets. 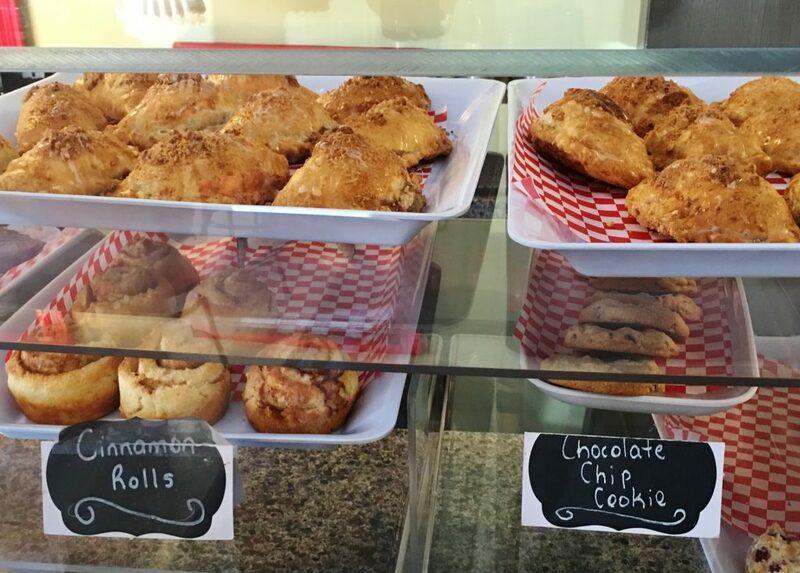 Traditional Coffee House and Deli is doing enough right, which is pretty much everything, to garner three stars. Oh, and keep boiling that water. Sound level Low to moderate. Open Monday to Thursday: 7 a.m. to 9 p.m. Friday: 9 a.m. to 5 p.m. Saturday: 8 a.m. to 9 p.m. Sunday: 9 a.m. to 5 p.m. Parking Limited space in front of the building. Beverages Trinity Coffee Company coffee, tea, hot chocolate, milk, juice, pop and water. Best bets Fish cakes, meatloaf, lasagne and baked sweets.